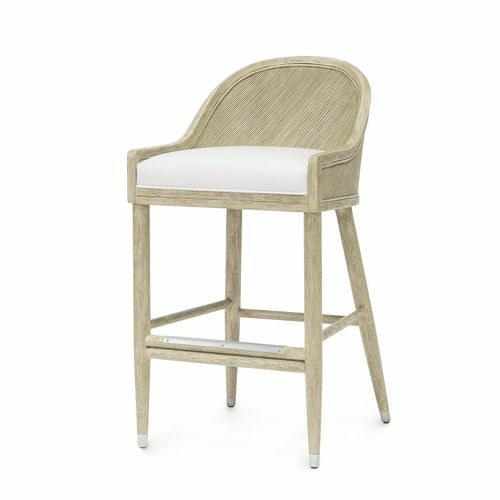 Hand-distressed squared rattan frame with hardwood legs features intricately placed core rattan in a curved design accented with brushed aluminum foot caps and footrest. 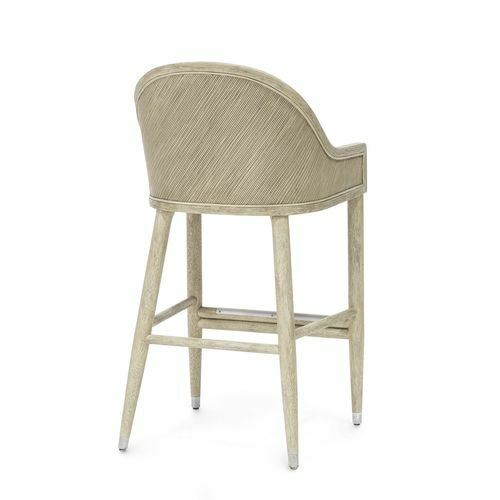 Stool comes with a fixed upholstered seat. Available in all PALECEK finishes. 21.25"w x 21.25"dp x 34.75"